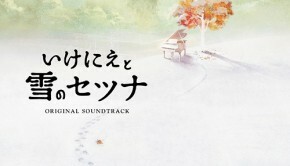 Roughly two years ago, Tomoki Miyoshi warmed gamers’ hearts with his touching piano-centric score for I Am Setsuna – an impressive feat, considering that the game itself was packed to the brim with ice and snow. More recently, Tokyo RPG Factory put forth a spiritual sequel to I Am Setsuna, titled Lost Sphear. As with Tokyo RPG Factory’s first outing, the game draws heavily on classic JRPGs for inspiration. This time around, however, the ice has thawed away; and so, too, has the emphasis on isolated piano solos. Miyoshi-san’s soundtrack for Lost Sphear takes the delicate piano work of I Am Setsuna and fortifies it with richer orchestrations. 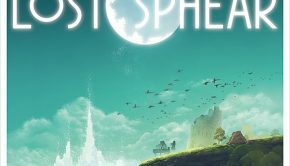 Does Lost Sphear’s comparative variety make for an even better listen than its predecessor? Just as with I Am Setsuna, the piano serves as Lost Sphear’s musical heart and soul. In fact, just about every one of Lost Sphear’s fifty tracks – with the exception of a short fanfare or two – features piano performances by Kumiko Ito in some form or another. What sets the two soundtracks apart is Lost Sphear’s more inclusive approach to instrumentation. The album’s opening track, “The World of Memory,” is a solo piano, track steeped in sentimentality with a hint of mystery and delivered with a gentle touch. The very next track, however, will perk listeners’ ears with the sound of a harp and an adorable moment of harmony between piano, flute, and violinist Hiroaki Yura. This track is dubbed “Nostalgia” and will certainly evoke its namesake for JRPG fans. “Brief Rest” comes third on the album and introduces piccolo and xylophone to the mix for added whimsy. A little later comes “Beautiful Nature,” a curious track with marimba and pizzicato strings tiptoeing their way alongside a winding wind melody. “Memory to Be Spun,” the first battle track of the album, pits a xylophone and synthesized violin in a race against one another even as piano arpeggios trickle downward at regular intervals like tears. “Surrounded” throws the listener into chaos with the clashing of claves, brass, and crunchy piano bass all spread across unstable time signatures. Tracks like “Machinistic Capital” and “Overwhelming” spice up the sound pallet with military marching snares, while “A Sign of Fortune” kicks the pace up a notch with a danceable beat and smooth syncopated string lines. All of this is to show that Miyoshi-san is dedicated to exploring the new textures made possible by embracing Lost Sphear’s new musical toys. In some cases, the results are even outstanding. The harpsichord, chimes and pipe organ of “Loyalty to the Emperor” are a true treat by the time they arrive, and they work well together in cyclical motions. “Pride of the Lord” is a powerhouse anthem in which a trumpet soars over rolling piano keys and crashing cymbals. “The Moon Illuminates” offers stunning contrast to the entire rest of the album, with ethereal soprano lilts and twinkling pitched percussion in the high end. These moments are among the most unique that Lost Sphear has to offer. It’s just unfortunate that the album overall doesn’t offer much in the way of fresh ideas. 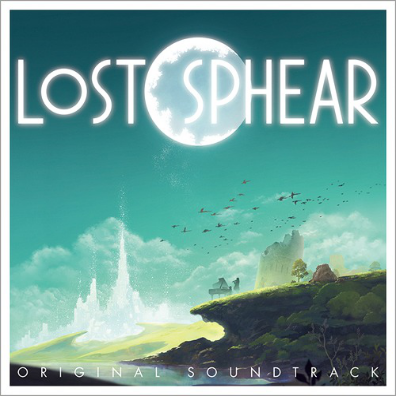 This is a JRPG soundtrack with quotas to fill – battle themes, town themes, field and dungeon themes, and themes that scream, “We’re in trouble!” The real trouble is that Lost Sphear’s answers to these prompts feel a bit generic at times. If you’ve ever heard a panic-inducing piece of video game music before, you already have an idea of how tracks like “Ready to Go” and “Awe of Glory” are going to play out. “Wiping Away Tears” draws on tired tropes surrounding sad soundtrack music and doesn’t introduce much to the formula in return. “Hope Poetry” is plucky and upbeat, but meandering. These tracks are perfectly serviceable, but they don’t accomplish much more than that. Even at its best, Lost Sphear sometimes feels a little too inspired by its contemporaries. “Awakening” comes across almost like a Masashi Hamauzu composition with its inspirational rising chord progression and clanging piano accompaniment, but it never really establishes its own identity. “Seal Ruins,” “The Twilight of Sphear” and “The End of Myth” are all Final Fantasy XV-esque with rolling piano arpeggios, intense drumming, ominous pipe organ chords, and, in the case of the latter two tracks, choral shouts. Of these, only “The End of Myth” truly stands apart from its inspiration thanks to its epic reworking of the melody from the main theme. That main theme, by the way, is the highlight of the album whenever it appears – even if it only appears rarely. “Echoes of the Heart” sets the stage for a heartwarming adventure, and “Light Sphear” brings that adventure to a close with a tear in its eye. Both Kumiko Ito and Hiroaki Yura lend their talents to these pieces, and both pieces feature some thorough development of the main theme. Given the haunting beauty of Miyoshi-san’s melody for Lost Sphear, it’s a little disappointing that said melody only surfaces in a few instances. A little more time in the spotlight might have gone a long way towards alleviating Lost Sphear’s musical issues. While memory may be the theme of the game itself, Lost Sphear’s soundtrack comes up a little short of memorable. However, even if the music depends on tried-and-true ideas, these ideas are executed well, and with an intriguing mix of instruments. 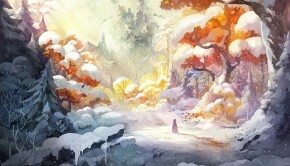 Furthermore, Tomoki Miyoshi has once again filled a two-hour soundtrack all of the sweetness and sentimentality that made I Am Setsuna so endearing two years ago. Lost Sphear may not be able to compete for your attention with the likes of its inspirations, but it’s a pleasant listening experience that any JRPG fan should give a shot.